Advances in genetic testing have revolutionized everything from health care decisions to crime forensics. Now, the technology may help protect marine life off the California coast. In the waters of Monterey Bay, DNA sequencing is allowing biologists to study fish and whales without ever having seen them. Just a sample of seawater, the volume of a water bottle, is enough to reveal what marine life has been swimming through that part of the ocean. The technique could improve marine monitoring, where scientists track an ecosystem year after year to gauge how it’s doing. Taking a marine census today requires hours of field time, either with scuba diving or boat trips. “It gets a little challenging because you’re floating, you’re swimming, you’re looking, you're counting,” says diver Dan Abbott, unloading his scuba gear on a beach in Monterey. He’s holding a waterproof clipboard, on which he's tallied all the fish and marine life he saw in a kelp forest just offshore. “About 150 fish in all. Pile perch, black perch, blue rockfish, kelp rockfish,” he says, just for a start. He’s diving with a team from Reef Check California, a group of volunteers that surveys this site twice a year. The group’s data help answer a question that's key to California’s conservation efforts: are there more fish here now than there were eight years ago? 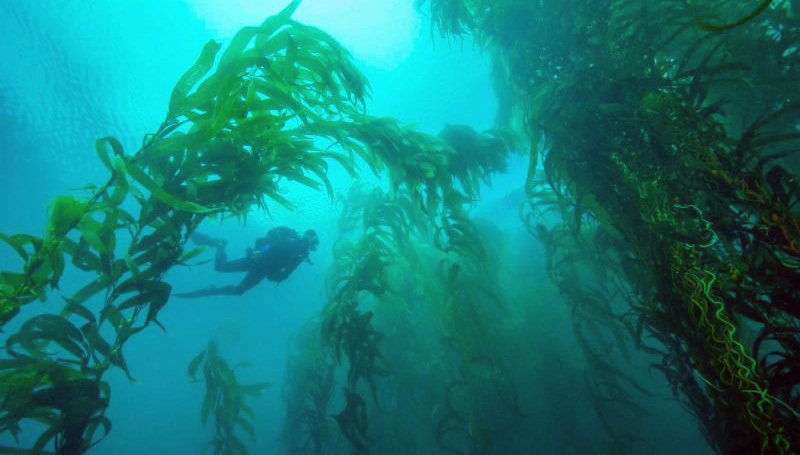 That’s when this kelp forest became part of a massive experiment to restore marine life in California. It was set aside as a marine protected area, where there’s little or no fishing allowed. There are now more than a hundred protected areas up and down the coast, covering 16 percent of state waters. The idea is that marine life will slowly recover there, improving the ecosystem both inside and outside the boundaries of each area. The only way to know if these areas are working is through underwater surveys, repeated year after year. In 2013, biologists reported encouraging results in the protected areas off the Central Coast. Field surveys are expensive. The state supplied $16 million for monitoring studies, and the funding has already run out in some regions of the coast. Monitoring has continued, thanks to universities, foundations and volunteer groups. “It’s been amazing what we can detect in just a liter of seawater,” says Jesse Port, an environmental genomicist at the Center for Ocean Solutions at Stanford University. He points to a rack of one-liter Nalgene water bottles that he uses to take seawater samples from the kelp forests in Monterey Bay. The rest of the work happens in the lab with a technique known as “environmental DNA” or eDNA. Port filters the seawater to collect all the cells. Then, he weeds out the algae and plankton and sequences the DNA of all the vertebrates, like whales, seals, and fish. “We get, with the machine we’re using, 150 million sequence reads for a given sequence run,” he says, "and that’s a lot of information." Those gigabytes of results require heavy data-crunching, but eventually, he ends up with a spreadsheet that tells him what organisms were found. The approach is possible because DNA sequencing has gotten so much cheaper. One sample costs just $1,500. 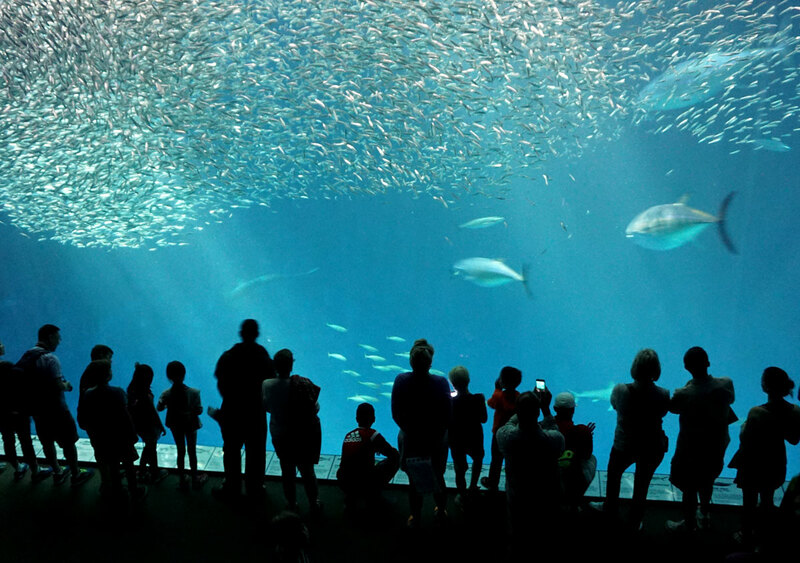 Port first ran DNA tests in one of the large tanks at the Monterey Bay Aquarium, which provided an easy test case because he knew exactly what was swimming there. Turns out, poultry was in the feed some of the fish were getting. But it raised some big questions. How do you know whether the DNA comes from a fish or from something it ate miles away? Or how do you know the DNA didn’t float in on a current? Port is still working on the answers to these questions and he’s doing studies to ground truth his results, checking them against what scuba divers find. But if the technology proves itself in the ocean, it could revolutionize how marine monitoring is done. 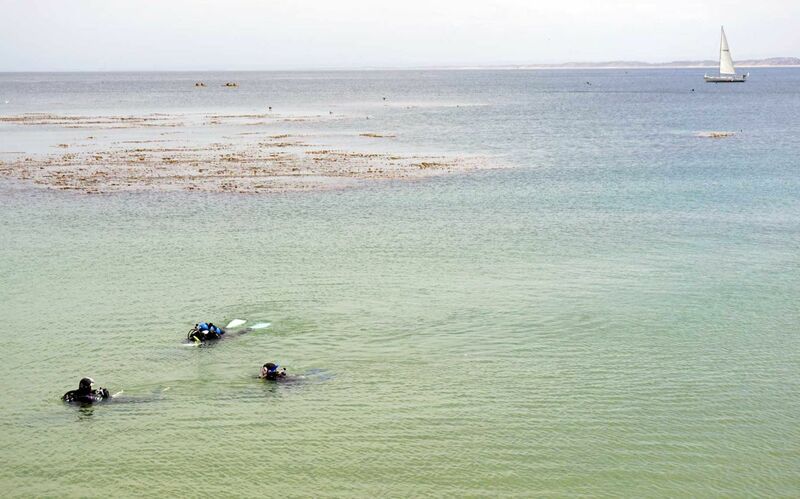 “You can cover such a larger area by taking water samples,” he says, "rather than having divers do that all themselves." Paul Michel, the superintendent of the Monterey Bay National Marine Sanctuary, says they're already using eDNA testing to help assess species diversity in the sanctuary. "Absolutely, we did DNA testing on a research cruise in May," Michel says, "and at each stop on the way, we were taking water samples. We can compare the DNA results to other types of samples over time." Eventually, it doesn’t even have to be humans taking those water samples. “What this is, is a microbiology lab that exists out in the ocean,” says Jim Birch of the Monterey Bay Aquarium Research Institute, pointing to a 10-foot yellow tube. It’s called a long-range AUV, or autonomous underwater vehicle. It looks like a torpedo, but it’s actually a robot, containing a miniature DNA lab called an Environmental Sample Processor. 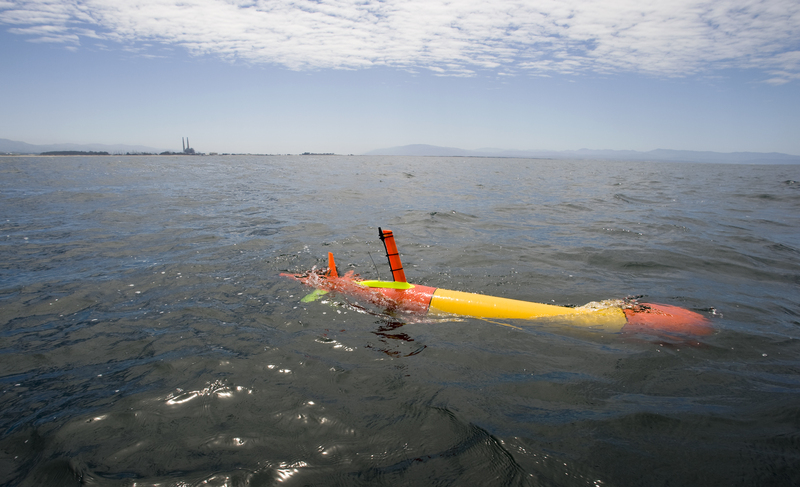 The robot cruises along underwater, taking samples and analyzing them onboard. Birch recently sent it out for a test run in Monterey Bay. When the AUV finds an organism it’s looking for, it surfaces and calls home, pinging a satellite or cell phone network with the data, and giving scientists an almost real-time snapshot of the ocean. Currently, it only tests for one thing at a time, like algae or plankton, and Birch says there’s more engineering work to be done before the AUV gains widespread use. A change that could help the state’s conservation funding go farther, ensuring California’s marine protected areas are working.